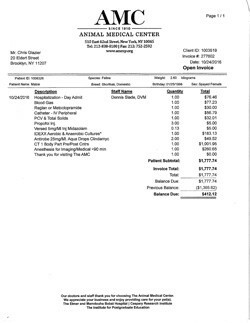 Mabel needs help paying her vet bills by Bushwick Street Cats, Inc.
By Bushwick Street Cats, Inc.
Bushwick Street Cats, Inc. hasn't added a story. TL,DR: Mabel recently was diagnosed with osteomyelitis. The nasal stent that was inserted in 2013 had also partially collapsed so it needed to be re-expanded. She is suffering from both the bone infection and a severe upper respiratory infection. She is having a very hard time fighting these off, despite a variety of medications. 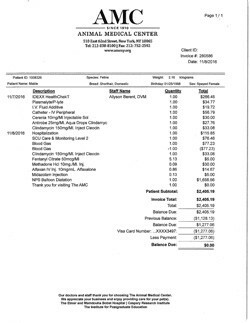 See below for images of vet bills. Mabel is a foster we brought home from the street in 2010. At the time we thought she was about 16 years old, with only a few months to live. She was skinny and sickly. When our vet first saw her, he said "I don't even know where to begin." Her biggest issue at first was ear polyps. They kept returning so we decided to have her entire ear canal removed. 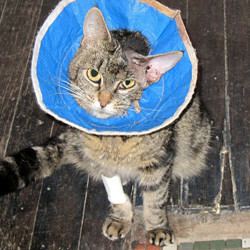 This was a major surgery and left her with some nerve damage (droopy eye and ear), but otherwise was a total success. But she had other issues as well. She developed megaesophagus which caused constant vomiting. Eventually we realized her nasal passages were obstructed, making breathing difficult. 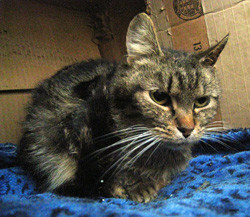 The vets also determined her ribs had been broken (!) at some point in the past, tho they had healed on their own. She was fitted with nasal stent to open her airway. This had an immediate effect, her vomiting disappeared and her energy levels were through the roof. The vets said she was probably only 6-7 years old (in 2013). For the past 3 years she has had no real issues, but a few months ago she began developing a recurring abscess near the site of her ear surgery. She also began having severe upper respiratory issues, and the vomiting returned. After many exams, x-rays and CT scans, vets determined she had osteomyelitis (an infection in the bone), and her nasal stent had partially collapsed. The stent was reopened using a balloon-like tool. Antibiotics are being administered for the infection. 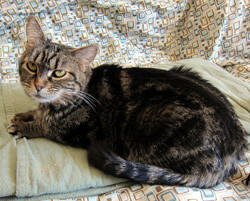 Initially the treatment seemed to work, but she has been having a hard time fighting the two infections. We have been trying different medications and treatments. If we can just get her over this hump, we're certain she will recover. We're asking for your help to chip away at these bills. Your donations are tax-deductible thanks to our non-for-profit status. Plus your donations help us get out of this hole so we can get back to helping more street cats! About us: Bushwick Street Cats, Inc., is a 501c3 nonprofit organization that promotes Trap-Neuter-Return (TNR) in and around Bushwick, Brooklyn, NYC. 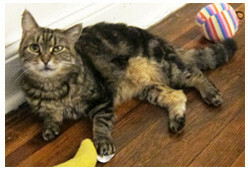 We mostly work with feral cats but occasionally take in adoptable cats to find them homes. All donations are tax-deductible. Here are her two largest vet bills, she has many others but these are the biggest! Bushwick Street Cats, Inc. hasn't posted any updates yet. 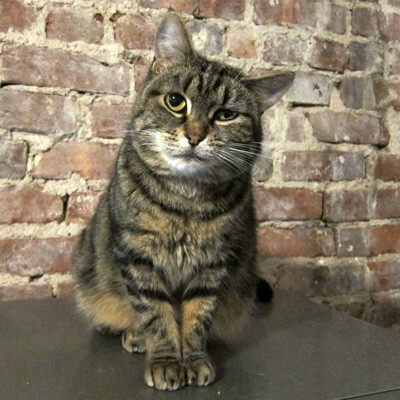 Bushwick Street Cats, Inc. is managing the funds for this campaign. 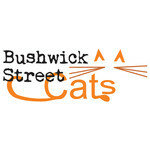 Bushwick Street Cats, Inc. is a verified organization.